Today's post is just like the title says....having some fun! I saw this sketch over @ Try Stampin' On Tuesday & instantly knew I wanted to make a card with it! Well; I changed a few things here & there but my layout is totally inspired by their sketch so THANK YOU ladies for the wonderful idea and making life easy for me!!!!! I did my usual obsession of adding texture, then some glitzy butterflies as well as a bit of bling...can't make a card without a bit of shine right?!!! I can almost see the sparkle in my photo & hope you can as well...trust me; it's very sparkly IRL!!! Divas By Design~Rubber Stamps Only! This is a good old Jackie style type of card, love it! 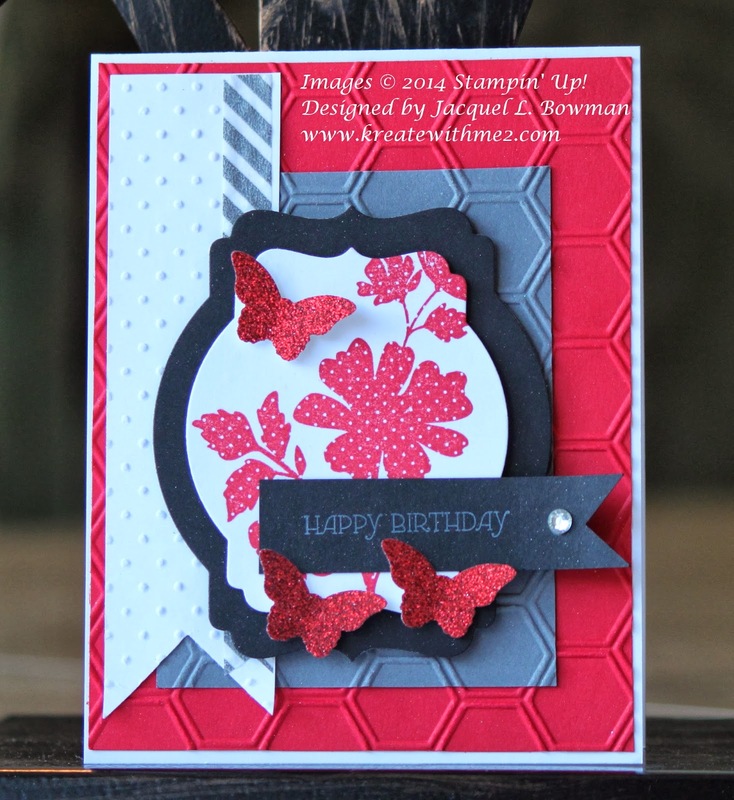 So beautiful with the embossed background, glittery butterflies and flower details! So fun to see your version of this layout, it's really different from mine even though we've chosen the same sketch as inspiration! I love it!! So pretty!! Thanks for joining our challenge over at TSB! omg omg omg Jackie this is just stunning, that flower stamp silhouette stamp is just amazing. The embossing on both layers really makes this card sing. Thank for playing at Try Stampin' on Tuesday - come again soon! Jackie, I love what you did with the sketch! The embossing on both card panels and the pretty colors really make this an awesome card! Love the embossing!! Thanks for joining us at The Stamping Boutique! Hope you'll join us again soon! Lovely card, I like the different embossing too, great layout. What a beautiful color combination and style. Stunning creation, just love the colours & the embossing looks fab! A great card Jackie and love the embossing. Thanks for joining our challenge this fortnight at crafty girls. Loving all of the texture on your creation, along with the layout! The butterflies are awesome. Thanks for sharing your incredible design with us at 4 Crafty Chicks for our Things with Wings Challenge. Very pretty card. Love your color combination and design. Nice way to line up the embossed sections aslo. Thanks for sharing at Seize the Birthday. Lovely card I really like the different embossing too, great job! Thanks for sharing it with us over at Seize the Birthday! Beautiful card! Love the little sparkly butterfly punches. Thanks for joining us at Try Stampin' on Tuesday. Hope to see you again soon! How gorgeous is your card Jackie! Beautiful layering & embellishments! Thank you for playing at 4 Crafty Chicks. 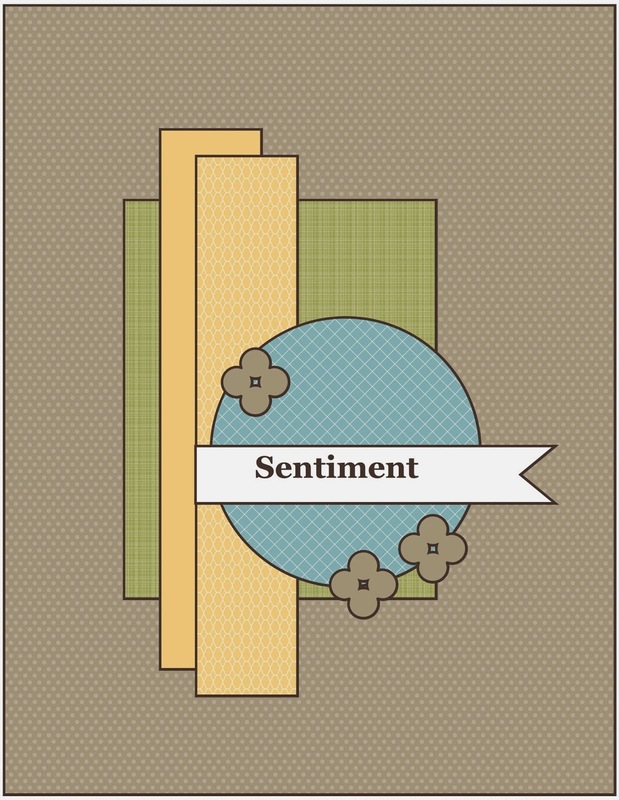 Thanks for joinning us at Crafty Sentiments Anything Goes challenge. Wish to see you again next time! Oooh these colors ars so pretty and you really rocked the layout! Fabulous card. I love all the textures and the different DP's. Thanks for joining us at Creative Corner and hope to see you againn. Wonderful texture on this card. Love how you match the grey and pink paper.